Introducing The Universe Has Your Back Card Deck! I’m so psyched to share my brand-new card deck with the Spirit Junkie community! It is my hope and my intention that this beautiful deck will offer you inspiration, guidance and support whenever you need it. 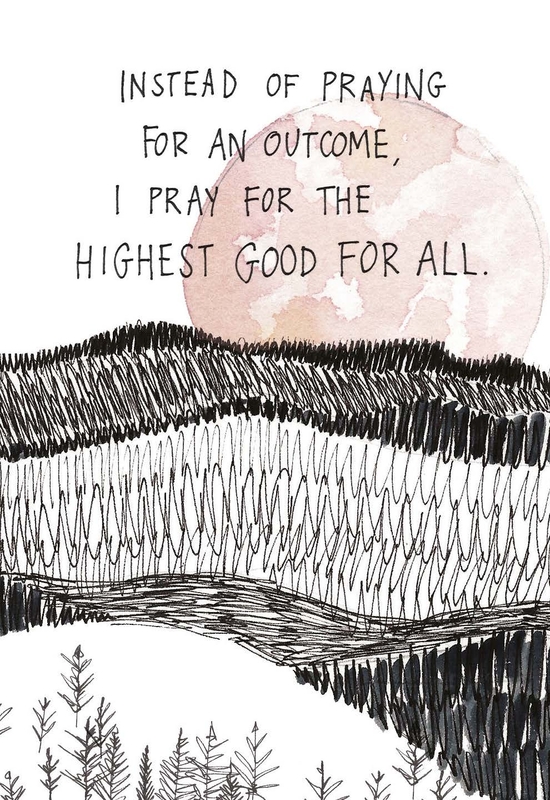 This 52-card deck includes affirmations, prayers and statements from The Universe Has Your Back paired with amazing watercolors by my best friend, Micaela Ezra. I was seriously blown away by what she created and I’m so grateful for her vision. This collaboration has been a long time coming. Micaela and I first met more than a decade ago. We were both at the start of our journeys and we’ve been supporting each other through everything since we met. I was just starting to transition from my PR business into spirituality and self-help. She had just arrived in NYC from Sydney to start a career in fashion and design. We had instant friendship chemistry and I declared the night we met that we’d become best friends. Two days after we met, Micaela went back to Australia to wait for her visa. In the midst of moving she lost the business card I’d given her, so all she knew about me was my first name. But shortly after she came back to New York, the Universe reunited us on a West Village sidewalk, when I went running up to her asking why she hadn’t called me! I sat down with Micaela and picked out a few cards from the deck to ask her about what inspired her designs! Her responses rocked my world. If you want to see Micaela and me talking about the deck on video, you can check out a Facebook Live we did together! *The player is automatically muted. To turn the sound on, click play and then unmute the sound controls. I want to know your thoughts about the cards! Leave a comment and let me know what you’re excited about and what you think of the designs. And if you haven’t yet ordered your deck, grab it here! What was your overarching inspiration for the designs? Watercolors as a medium are great in terms of art therapy and the connection with the ethos of The Universe Has Your Back, because you can only control so much. Their beauty comes out in the moments when you mix them with the water and they puddle on the paper. You have to let go a little bit. The beauty that comes up is often so much more than what you’d anticipated. You put it down with intention and the color comes up in a way you hadn’t expected. I wanted to convey the vastness of the Universe. On the one hand, the shapes can look like the edge of a continent, something huge. But at the same time, if you look with a different perspective, it could also be something cellular, really up-close. The designs include a lot of totems and different people’s signs that were really potent, like the blue butterfly, the dragonfly, rainbows, the owl, the big eye. Astrological elements. Trees falling, regenerating. Rebirth, movement, cycles. It’s a dandelion. There is a Jewish teaching that you should be like a reed in the water. A reed in the Nile is very firm and strong but it’s also got malleability and elasticity — you can move with the times and adapt to the situation. You are grounded in your beliefs but flexible, not rigid. That’s what happens in surrender: the ability to let go. You blow away the dandelion and release those pieces into the air and hope your wish will be carried on. The pieces that blow away with the wind, it’s an active metaphor for surrender, and it’s continual. It’s so simple and graceful and vulnerable on the page. The pieces of the dandelion are so delicate. 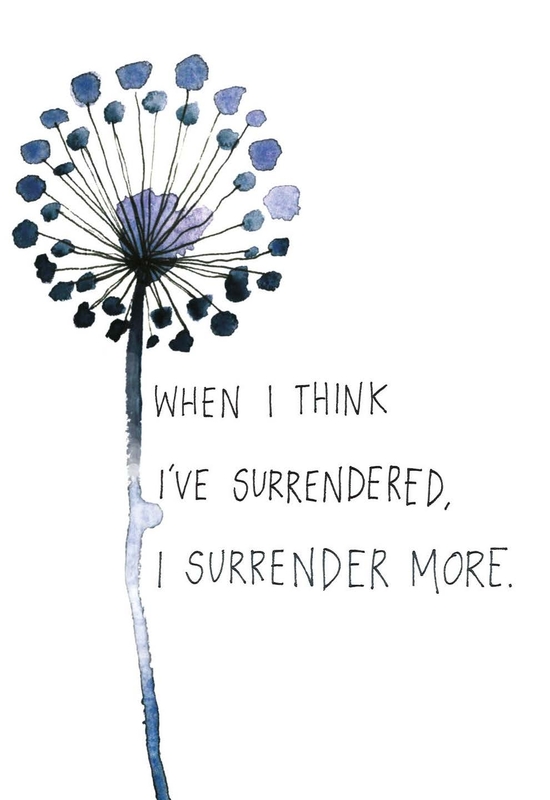 We kind of have to be like that in order to surrender. You have to be willing to let parts of you be carried away with the wind and see where they’ll be taken. So bright and vivid. Yellow is such a joyful color, so this phrase had to be bold and bright and completely uplifting. 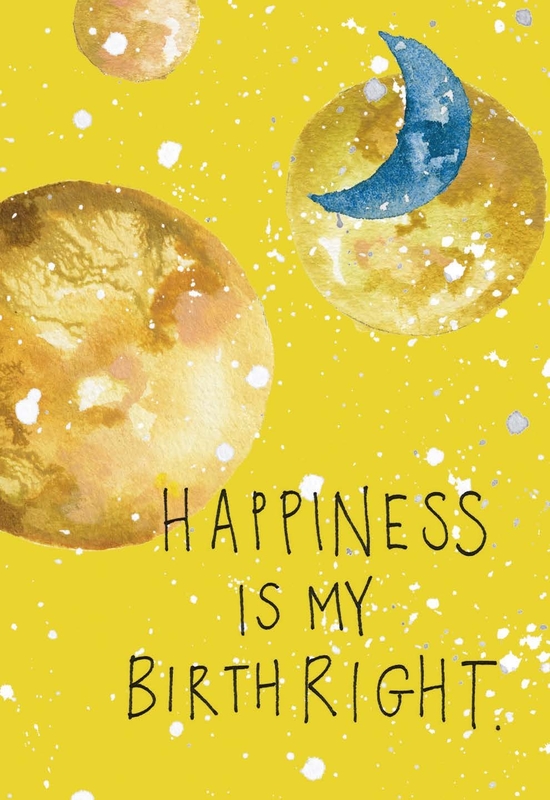 Proclaiming that happiness is our birthright is really owning the sense that we should all make it our mission to find meaning and joy. It’s deep-rooted joy that comes through purpose and meaning and a sense of belonging. Every human being should find that place within themselves and access it unapologetically. That is the essence of that statement to me. The color yellow also to me conveys that. The planets and the moon: Within the universe, the totality of everything, that is our purpose. There’s a theme in the cards of a horizon. The pink moon indicates the presence of love, the sense of feeling dwarfed by the beauty of the world. In that moment, honoring and acknowledging the ultimate creator of the world, who gave us this beauty to hold and take care of. The highest good for all requires you to move out of your day-to-day existence and acknowledge your small part in a much bigger network. It’s really beautiful and grand. The world is small and black-and-white. The pink moon is the overpowering sense of love, oneness, God, beyond what we’re experiencing here. What would normally seem tall are the trees, but the moon looms larger, representing more than what we have here. Visually, it plays with proportion and scale to reflect the juxtaposition of smallness and greatness. This was such a playful exercise! There is an experimental quality to watercolors. This was a beautiful, accidental evolution. I knew I wanted to convey a sense of water, but I added the pink strip on the right side later, to soften it visually. This design was subconscious for me. Now, reading the message again, I see that it’s about dreams, and that’s how it was meant to come together. With some cards I had a very striking vision of how I wanted it to look. With others it involved just being in the moment. This was a bit of an experimentation as well, that led to the background red part. There’s also the story that the cards tell as a whole. The geometric network came about first in the card “Obstacles are detours in the right direction.” The triangle is a bit harsher, a contrast to the free-flowing form of the watercolor. The triangles created a channel — you hit an obstacle and it leads you in one way, then another, and then a channel opens. This coral color looks like clouds, or like a continent next to water. It could be on Earth or in the sky. I wanted the cards to all work together. I wanted to tell that story of coming from something a little more challenging into the mindset of love. Moving from a place of difficulty into a mindset of loving-kindness. That peach-coral color is an embracing, warm and loving color, with a blue moon. I just ordered the deck, I’m so excited to work it into my morning practice. I finished the book and over the course of reading it was moved to laugh, cry and have dozens of ahh haa.. moments. Since I began reading it and watching your inspiring videos, I have started and finished many projects, one of which was doing live videos for the first time. Yesterday, I did one where I was trying to show a list of ideas and found out that it shows backward. I got an ugly mad face comment and wrapped the video feeling so silly and a little sad. I slipped into the judge and thought, “Gabby’s videos are so much better, why am I doing this?” I journaled and burned things and did my best to return to love. Then I woke up this morning to your video and it couldn’t have been more perfect to show me that this path of teaching and living from love is not about being perfect, but just being in joy and trusting the Universe has my back. Thank you so much for sharing your beautiful authenticity and passion for all you do. I was reminded the other person is me and I am on the right path. So excited! Just pre-ordered a deck on Amazon. Thanks for this video. As an artist, I appreciated hearing the insight and inspiration behind the cards. It’s beautiful you two have been friends for so long and could collaborate on such a wonderful project!! I preordered, and mine have already shipped! I recently finished the Spirit Junkie Masterclass, and my journey with these spiritual practices has been revolutionized. Thank you for the book, the intention, the cards, and the beautiful vibe! Gabby these are amazing! I already got mine a couple weeks ago at a store. I wake up every morning and ask the Universe for guidance and and then pull a card and that’s my card of the day. I leave it up on my desk to see. Omg! Have a connection to hummingbirds, blue butterfly, and trees! Sooooo beautiful. Just had my son order a few packs for me. Can’t wait to get them. beautiful. you will love them! I bought the book and the cards on our recent trip to the US! I am so excited to receive the cards! I have ordered and waiting with great excitement! Blessings to you! I love this deck and want to get it but prefer using phone apps for card decks. Will there be an app version of these? For now we have the deck only! If we create an app in the future I will announce it. I was excited to see the video and the deck is so visually beautiful as well as the words! I saw they came out through Hay House and plan to buy these to use in my coaching practice. This was an amazing and beautiful collaboration! They’re awesome to use in a coaching practice! Caroline, I’m so sorry for your loss. Losing your mother is incredibly difficult, and grief can throw us off in ways we never expected. You might consider working with a therapist as you heal from this loss. Therapy can be a beautiful spiritual tool. I am sending you love and light in this difficult time. My prayers are with you. I think my next book will resonate deeply with you and help you heal your energy. But you do not have to wait to begin healing. If you want to strengthen your faith and learn to trust the Universe more, I recommend The Universe Has Your Back. If you have read it, read it again and practice all the exercises with full commitment. If you are willing to trust, surrender and welcome miracles, the Universe will deliver. By bringing you to this blog, the Universe has already given you a sign! The messages in this book and card deck can offer you tremendous guidance and a sense of safety. All you need to do is practice the principles and commit to healing. Another book to explore is You Can Heal Your Heart by Louise Hay and David Kessler. – What Are Your Spiritual Assignments & How Can You Show Up for Them? What deeply resonates for me with these cards is the combination of Jewish teachings from Micaela and the oneness of all I am coming home to through you Gabby. Guiding me home to truths with a capital T because these truths have always lived inside me. And I throw open my heart to finally allowing my light to truly shine and be vulnerable so that others may feel they can be vulnerable with me. I was so excited when I stopped at Barnes and Noble on Friday the 1st.. There was one box on the shelf and I knew I had to purchase them! They had been in my amazon cart but weren’t available to purchase yet so seeing them was such a surprise!! I keep them in my car so I can grab them anytime! I love sharing them as well on my instagram so others can see the beautiful messages! Love them!!! I just saw that mine were delivered and can’t wait to open them! I have only learned of you and your books this year, and I ended up enduring a terrible past few months- my beloved grandfather’s sudden illness and decline that led to his death over the course of a month; a breakup the following week, with no explanation and no further contact since, with someone I loved; and a move that didn’t work out, had me living out of family’s home, and just this week being able to move into a place of my own. I have had so much pain, fear, depression, hopelessness, and I’m struggling to even find balance or calm. I know this will bring me comfort and help guide me on my path that I currently feel so directionless on- and still so scared! 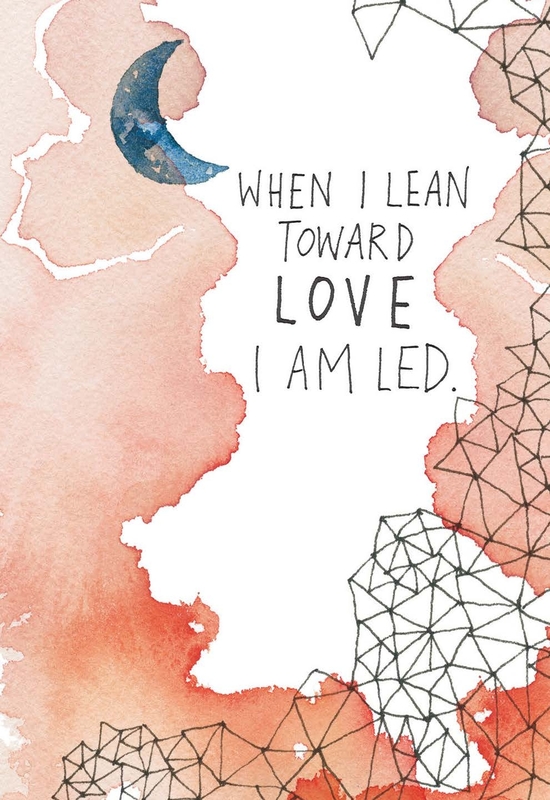 The words and the artwork complement each other in such a lovely way. Thank you both for this work! Thank you so much Gabby for making these beautiful cards! I picked up a deck at your workshop in Stockholm last week and I read one every morning. Magical and well needed in my life right now. They are absolutely gorgeous and I have just ordered my deck. I cannot wait to draw my daily card. my friend got me this card deck because she was instantly reminded of me. it is my third deck (the first two being the osho zen tarot and the earthbound oracle) and i feel like it has brought a lot of positivity to my life right now that i really need. i am so grateful and so excited t start working with it. DO you have a guide book for understanding these cards? Love that these are serving you Charlotte! For this deck, the messages are the same, whichever way they face 🙂 Big hugs! I ordered and received my deck but it didn’t come with a guidebook. Where can I find a copy? Thank you.